A total of close to $30,000 cash prizes to be awarded! In your eyes, what best represents Singapore? Is it the tenacity that helped build Singapore in the post-Independence years, the passion that gave many the courage to chase their dreams when the economy took off, or how we communicate, switching between various languages with ease? Whoever you are, wherever you came from, as long as you have lived in Singapore, you are sure to have different sentiments of this sunny island, so why not turn them into a micro film to show your interpretation of a Singapore that we may all be familiar with, may know about, or even one that we may know nothing about? The biennial Micro Film Competition is a creative platform for all, regardless of age, race and nationality. Entering into its third edition, the competition used “Building a Harmonious Society Together” as the central concept, and participants are invited to share their version of “My Singapore Style” through micro films. Participants are also encouraged to show different perspectives of the spirit, culture or values that are symbolic of Singapore's diversity. If you have a story to share, pick up your camera or mobile phone now! Who knows, this precious record might just resonate with fellow Singaporeans, stimulate a sense of belonging, and inspire more to create their very own versions of “My Singapore Style”. Established in 1985, Singapore Federation of Chinese Clan Associations (SFCCA) is the apex body of the Chinese clan associations in Singapore, with PM Lee Hsien Loong named as our first Patron in 2011. The Federation's primary objectives are to promote understanding and appreciation of Chinese language, culture and values; to lead the Chinese clan associations in Singapore, as well as, organise and support educational, cultural and community activities. The Federation now boosts a membership of over 230. The Singapore Chinese Cultural Centre (SCCC) aims to nurture and promote Singapore Chinese culture, and to foster mutual understanding among all ethnic communities of our multicultural heritage. Officiated by our Patron PM Lee Hsien Loong on 19 May 2017, SCCC strives to become a hub for quality performances, exhibitions and cultural activities, and a lively and interactive platform for all ethnic communities to gather and interact with one another. New immigrants can also acquaint themselves with our local Chinese traditions and customs. The Centre aspires to be a community institution for everyone to participate in and appreciate our unique Singapore Chinese culture, and to establish itself as a cultural landmark locally as well as in the region. 1. What is ‘My Singapore Style’ Micro Film Competition? “My Singapore Style’ Micro Film Competition is jointly organised by Singapore Federation of Chinese Clan Associations, Singapore Chinese Culture Centre and Lianhe Zaobao. Objectives: The Micro Film Competition seeks to provide a nationwide platform for film enthusiasts and aspiring filmmakers to create microfilms documenting their stories, memories and experiences relating to Singapore. Through the competition, the organisers hope to rally youth in inciting their creativity, expressing their aspirations and wishes for Singapore, and consequently forging a greater sense of belonging and national identity. Since its first edition, the Micro Film Competition received many enthusiastic responses and participation from the youth. The competition is open to all nationalities aged 13 and above on the date of entry. By registering you will receive latest updates on competition and invited to attend sharing session and free workshops. 4. Is there any entry fee? Yes, we will be organising various entry level workshops. 6. What are the competition categories? Open Category– Open to all Singaporeans and people residing in Singapore, aged 13 years old and above. Student Category – aged 13 years old and above, open to both full time and part-time. Student category are open to all Singaporeans and people residing in Singapore ONLY. Overseas Category – non Singapore residents, aged 13 years old and above. There can be overlap in some of the categories and it is up to the entrant to choose which is the most appropriate. The competition’s committees reserve the right to move entries to other categories if it is clearly appropriate to do so. 7. What are the categories of film(s) accepted? "My Singapore Style" Micro Film Competition accepts all film genres including story film, documentary film, animation etc. 8. When is the submission period? The registration period is 7 August 2018 to 15 November 2018, entry submission will be accepted from 16 November 2018 to 1 February 2019. 9. What are the categories of awards? Please click here to view the awards and prizes. 10. Can I enter more than one category? Yes, entrants may enter multiple categories. But only one prize is awarded for each entry and to each individual or team. 11. What is the difference between ‘registration’ and a ‘submission’? By registering you will receive regular updates on competition and invited to attend seminar and workshops. 12. How do I submit my micro film(s) for the competition? Click here to fill in the submission form with all valid particulars together with your micro film. 13. Can I hand deliver my submission? No. All submission must be done online. 14. What is the acceptable film formats? Acceptable film formats are .mp4 / .mov / .avi / .wmv. File dimension must be 16:9 widescreen format - 1280x 720 or 640 X 360. **Please note that all entries should be between 30 seconds to ten (10) minute, and should not exceed 300MB. Entries shall not be deemed to have been received by the Organisers unless you are able to produce proof of receipt by the Organisers. 15. Is there any minimum and maximum running time? The entire length of micro film minimum running is 30 seconds and shall not be exceeding 10 minutes. Please note the size of micro film should not exceed 30 MB. 16. Do I need to insert ‘My Singapore Style’ Micro Film logo into my submission? 17. Can I still submit if my microfilm has distributed, had aired and had entered another competition? 18. Can I use third-party footage in my video? The entry should be original and not previously published. 19. How can I be sure my entry is received? You will receive an email after your entry is successful. Please note that ONLY selected videos will be uploaded to our official website. 20. How can I change information on my entry? You may change or update your information by emailing us at microfilmsg@gmail.com. You may also change your competition category so long as your entry has not been reviewed by judges. 21. Who should I put down as primary contact? Whoever is going to be the sole contact and is easily reach by phone and email. 22. Who are the jury members? 23. What are the judging criteria? Click here to view the judging criteria. 24. Can I withdraw my entry? Withdrawal from the competition is not allowed once you submitted your entry. 25. If I win an award and live overseas, will ‘My Singapore Style’ Micro Film Competition Organising Committee pay for my airfare, accommodation and other expenses? No. ‘My Singapore Style Micro Film Competition Organising Competition will not pay for your airfare, accommodation and all other expenses. Winners are responsible for their own expenses; logistics for travel, accommodation and other costs. 26. Who has the rights to my work? Submission of entry automatically transfers all rights to ‘My Singapore Style’ Micro Film Competition organising committee, SFCCA, SCCC and Zaobao.com. By submitting entry to ‘My Singapore Style’ Micro Film Competition, each entry expressly grants permission to use their name, likeness, hometown, etc. If you have further questions, you may email us at jazmynhuang@sfcca.sg or call us at (65) 6643 6483. 'My Singapore Style' Micro Film Competition accepts micro film of all categories including story film, documentary film and animation. Category II, the “Student” category, for students - open to all persons pursuing a Singaporean citizenship or permanent residency status (though studying or residing overseas), aged 13 years old and above. full-time educational course in an educational institution recognised by the Organisers (at their sole and entire discretion). Category III, Overseas Category – non Singapore residents, aged 13 years old and above. If you are under the age of 18, you must ensure that you have a signed consent form from your parent or legal guardian on the day you sign up. Participants are to fill up the registration form with all valid particulars. All submission must be done online on Google Forms. All entries should be between 30 seconds to ten (10) minute and should not exceed 300MB. No restriction, you may use your mobile phones, tablets, camera, video camera etc. Micro film produced in English must be subtitled in Chinese, and micro film produced in Mandarin must be subtitled in English . Micro film produced in other languages must be subtitled in both Chinese and English. All Features must contain complete opening and closing credits. For participants below 18 years of age, please download Parental Consent Form and submit together with your created movie. These Terms and Conditions apply to you as the Filmmaker listed in the Entry Form. The registration deadline is: 31 December 2018. The deadline by which all entries must reach the Organisers: is 1st March 2019. All submission must be done online. Participants are required to fill up the online submission form with all valid particulars together with your micro film, or via email to microfilmsg@gmail.com. Entries shall not be deemed to have been received by the Organisers unless you are able to produce proof of receipt by the Organisers. the Film must include “My Singapore Style” as one of its major themes. Multiple entries are accepted. However, a separate Entry Form must be included for each Film submitted. Entry into the Competition is not chargeable. you have obtained and acquired all requisite rights, clearances and permissions with respect to the Film so as to grant to the Organisers the rights hereby granted. Use, upload and screen your Film and submitted materials relating to the Film on the Competition’s website; and on the website and social media of each of the Organisers and each supporting organisation. You further agree to assist the Organisers, without any form of compensation whatsoever whether monetary or otherwise, in connection with any application for rights and to do all such acts and things as any of the Organisers may advise, to be necessary or desirable to perfect such licence or rights in respect of the Film. you undertake to inform and indemnify the Organisers and keep each of them at all times fully informed of, and fully indemnified from and against all actions, proceedings, claims, demands, costs (including without prejudice to the generality of this provision legal costs of each Organiser on a solicitor and own client basis), awards and damages, whether or not groundless, however arising directly or indirectly as a result of your negligence, any breach or non-performance by you of any of your undertakings, warranties or obligations under these Terms and Conditions. Category II, the “Student” category, for students. Category III, Oversea Category - Non Singapore residents. The Competition admits Filmmakers of age 13 and above. If you are under the age of 18, you must ensure that you have a signed consent form from your parent or legal guardian on the day you sign up. Category I is open to filmmakers’ resident in Singapore and/or of Singaporean citizenship or permanent residency status (though studying or residing overseas), and who are not full-time students. Category II is open to all persons pursuing a full-time educational course in an educational institution recognised by the Organisers (at their sole and entire discretion). Category III is open to non Singapore residents. Every submitted Film must be the original Film of the Filmmaker, who must have been significantly involved in the creation of the Film either as a director, producer or screenwriter. You also agree that you have obtained the original author’s written consent to adapt the Film and accept adaptions of other films together with the submitted materials. If the Film is based on a person’s life story, a statement attesting to rights obtained for the incorporation of such story into your Film will need to be submitted together with all other materials. The Organisers and its judges are not obliged to investigate and cannot attest to the authenticity of an applicant’s statement of authorship or rights. The submitted Film shall not contain any material which has been sold and must not contain the property of any party other than the Filmmaker. Each Film must not have been sold, be in turnaround, or be in pre-production or have been produced at the time of the submitted deadline nor at the time the material is chosen as a finalist or Prize winner. If any part of the Film has been sold before or during the judging period, you will automatically be disqualified. Collaborations are accepted. However, division of any award monies will be your sole responsibility and the rights shall be granted as if both are of one contestant. Submissions will be accepted only by registered mail or delivery by hand, with proof of delivery. Each Film shall be of a minimum run length of 30 seconds or of a maximum run length of 10 minutes. Each Film must be submitted together with the completed Entry Form, duly signed by the Filmmaker, with all the relevant accompanying documents submitted at the same time. Incomplete submissions shall be rejected. A submitted Film can be in any language. However, dialogue or words in a language other than Mandarin must be subtitled in simplified Chinese characters. 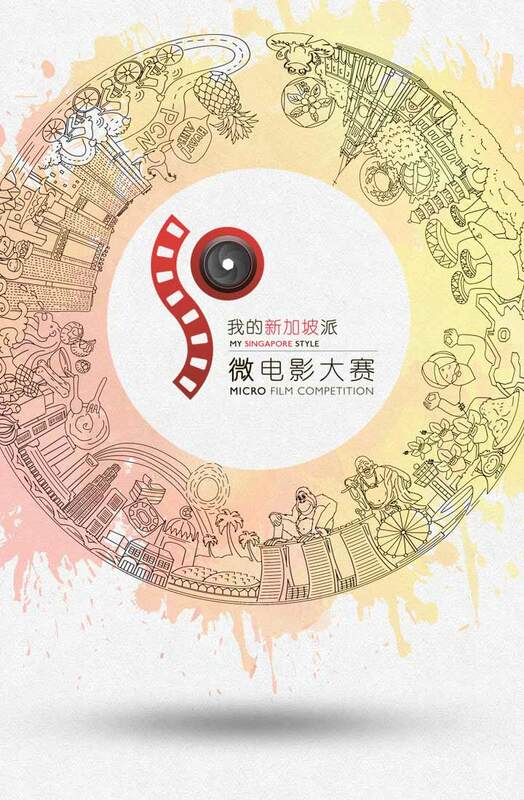 The title of each submitted Film shall be either in English or in simplified Chinese. Submitted copies of Films will not be returned. 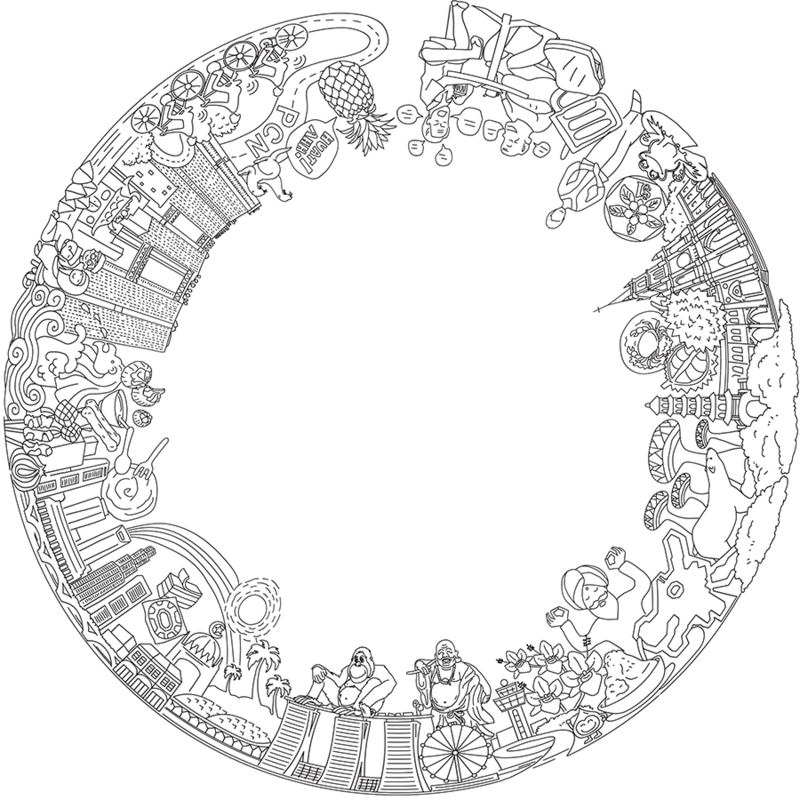 To be eligible for the Competition, your Film must be an original creation by you; must not infringe any third-party rights; must be suitable for publication (i.e., may not be obscene or indecent); must not contain obscene or pornographic material; may not contain potentially defamatory statements about any person, company, organisation or entity; may not invade privacy or other rights of any person, company or entity; must not violate applicable laws and regulations; and must not contain any works or materials that you do not owned or hold the rights to. The Organisers, in their sole discretion, may prohibit or disqualify any entries deemed to be inappropriate. The Organisers also reserve the right to refuse to screen a film or to make any announcements at the screening regarding the content of any film. All entries will be submitted for a preliminary round of adjudication. Only Films that meet the approval of the preliminary round’s adjudicators will proceed to be judged by a panel of Judges. The Organisers reserve the right to make the final determination as to which films are eligible for the Competition. Neither the identities of the adjudicators nor their decisions of the preliminary round will be disclosed to the competitors and/or the public, nor are said decisions and/or the identities of the said adjudicators open to questioning, objections, appeals from you and/or the public. All decisions made are deemed final and conclusive. Each submitted and qualifying Film will be judged for its overall quality and concept and will be judged on factors, including but not limited to originality, story line, structure, characterisation, dialogue, theme, setting and the Judges’ overall opinion of the Film. The winning teams and entries of the competition will be decided by a panel of judges except ‘Most Popular Micro Film Award – Gold, Silver, and Bronze’ which is decided through public voting. Computation of scores and selection of winners by the panel shall be final. Further correspondence and disputes will not be entertained. All entrants may be filmed, photographed, and/or interviewed before, during and/or after the Competition. The intellectual property rights for these recorded material(s) shall subsist in the Organisers, each of whom reserves all rights to use these recorded materials or any parts thereof for promotional and marketing purposes, including, without limitation, screenings and for the publicity, promotion and graphics related to the Competition and/or the business activities of each Organiser, and/or the Organisers as a whole. publicity and/or advertising campaigns across all media, including in each of the Organisers’ printed publications, audio and/or visual presentations, promotional materials and/or their websites, whether in the original or edited format. You further agree and acknowledge that each of the Organisers shall have the independent right to use your personal data for the purposes as aforesaid and that each of the Organisers and Sponsor shall independently own the copyright and all other intellectual property rights in and to the records of the personal data without any further compensation to you. By participating in the Competition, you agree and consent to the terms and conditions of this Agreement, and to the Organisers collecting, using and disclosing the personal data which you have submitted, and sharing such personal data amongst themselves, for the purpose of contacting you via mail, electronic transmission (eg. E-mail), SMS, telephone and other means of communication (whether via your Singapore telephone numbers or otherwise) to inform you about their products and services. None of the Organisers shall be liable for any safe custody, return, and non-delivery or missing of entries, late, misdirected or unavailable network, server or other connections or technical features. Prize(s) are non-transferable and non-exchangeable. “My Singapore Style” Micro Film Competition Organising Committee, and each of the Organisers reserve all rights to substitute the publicised prizes with other prizes of similar commercial value, at their sole discretions and their decision(s) on all matters relating to the competition shall be final and binding. The winners’ list will be published on microfilm.zaobao.com. be bound by these terms and conditions and by all decisions of the Organisers, the contest administrator and its adjudicators and judges, whose decisions shall at all times on any matter be considered binding and final. You also agree to waive any right to claim ambiguity or error in the terms and conditions of the Competition or the Competition itself. Winner(s) will be selected only and when any of the submitted Films meets our quality standards. The Organisers therefore reserve the right to declare that there shall be no winners for the Competition should such quality standards should, in the opinion of the Organisers not have been met. You acknowledge that the Organisers receive numerous screenplays and story ideas in the course of its operation and any similarity to your Film material created, produced, distributed or represented by any of the sponsors or judges may be coincidental. This Agreement is governed by and construed under the laws of the Republic of Singapore. Where any term is prohibited, it will be deemed void and severed from the remaining provisions of this Agreement. Such severance does not affect the legality and enforceability of the other rules. Further this Agreement may be written in either Chinese or English, each of which shall be deemed authentic but English interpretation shall prevail. If an entry fails to comply with this agreement in any regard, it may be disqualified by the organisers without any avenues for appeals or redress. Only one Best Director Award will be given out in “My Singapore Style” Micro Film Competition. Only one Best Actor/ Actress Award will be given out. Awarded based on jury members’ decision. Most Popular Micro Film will be awarded to entries that receive highest votes online. Prizes will be awarded based on the quality of entries submitted and no prizes will be awarded if there is no suitable entry. In the event of any dispute regarding the results, the decision of the evaluation committee shall be final and no correspondence or discussion shall be entered into. David is currently the Vice-Chairman and Programming Director of the Singapore Film Society, the longest established (since 1958) non-profit film organisation in Singapore. He is also the co-founder and Managing Director of The Filmic Eye (TFE), a consultancy firm that specialises in film project management and outreach programmes. Under The Filmic Eye TFE, David has produced 15 short films commissioned by the National Arts Council for Utter 2015 and 2017 and Silver Arts Festival 2016 and 2017, working with renowned filmmakers such as K Rajagopal, Lee Thean-jeen, Jerrold Chong, Tan Wei Keong, the Zhuang brothers, Ler Jiyuan, Ray Pang, Sufyan Sam’an and Yee Chang Kang. He is passionate about promoting film appreciation to a wider audience and believes in the holistic educational value of film literacy for the youths of today. 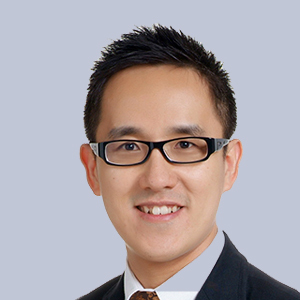 E-von Yeung is News Editor of The Straits Times Video. Her team produces editorial videos for the newsroom, from breaking news to features and lifestyle pieces. She works closely with dynamic group of reporters, videographers, video editors and motion graphic artists to create compelling video stories. Till 2016, she led SPH Razor as Deputy Editor. As the video network of Singapore Press Holdings when it launched in 2008, SPH Razor produced editorial videos for newsrooms and commercial videos for clients. She began her career with SPH as a video news journalist at The Straits Times Online in 2006, covering breaking news and lifestyle stories. When Razor launched two years later, she took on the role of a producer-presenter for hard news, current affairs and entertainment/lifestyle shows, later specialising in Asian entertainment and food programmes. ET is the managing director of The Filmic Eye, an initiative focusing on film education, marketing, producing and distribution. 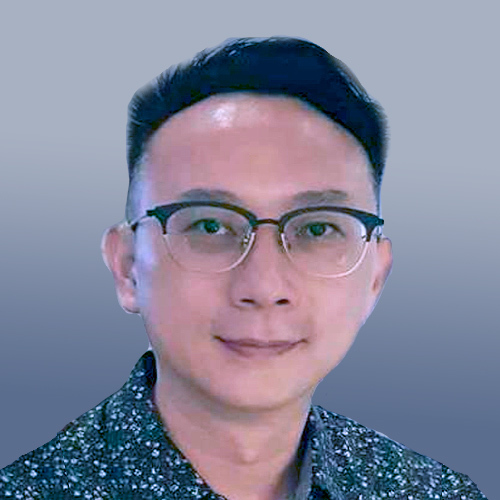 He is also an adjunct instructor of film studies at the Wee Kim Wee School of Communication & Information and Nanyang Polytechnic, and serves as mentor for the annual Perspectives Film Festival. Compelled by the power and beauty of cinema, ET started writing reviews in 2007, and has built up a wide local and international reach with more than 1,600 reviews published on his website @Filmnomenon, winner of Best Individual Blog at the 2015 Singapore Blog Awards. He also serves as programming manager in the Singapore Film Society executive committee. 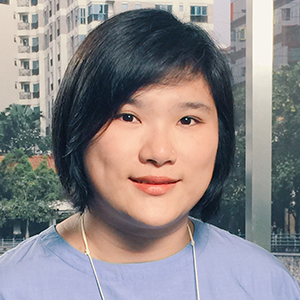 Associate Professor Foo Tee Tuan, PhD (Ohio University, 2004) is the Director of Centre for Chinese Studies (CCS) at Singapore University of Social Sciences (CCS@SUSS). 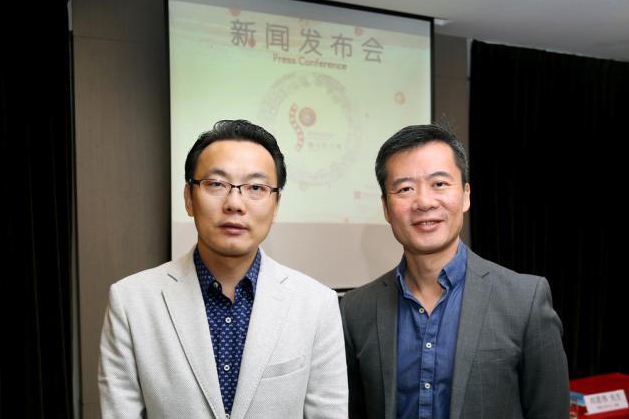 He is also one of the curators for Singapore Chinese Film Festival. 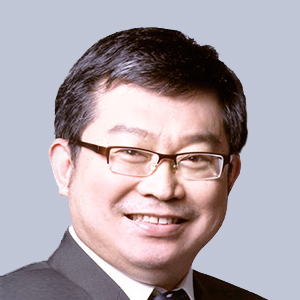 Before joining SUSS, he served at Nanyang Technological University (Singapore) and Fu Jen Catholic University (Taiwan). Over the years, he taught courses in television production, visual communication, global media, and Asian cinema. Will is the Associate Faculty for Introduction to Chinese Culture at Singapore University of Social Sciences. He was also the AF for Introduction to Communication between 2009 to 2016. 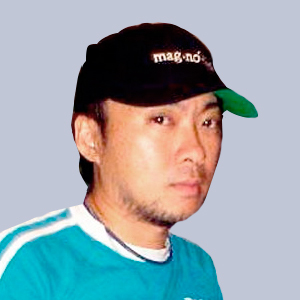 Will has been a film columnist for LianheZaobao since 2011, and he also regularly contribute articles to LianheZaobao on stage performance, culture and current affair. Will is a PhD candidate of Language, Culture and Communication. 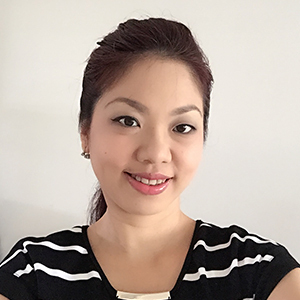 Eva Tang loves literature and films. Her prose was unanimously awarded First Prize for Hong Kong’s most esteemed Chinese Literature Award when she was an undergraduate at the University of Hong Kong. She later earned an MA in Fiction Directing at the prestigious National Film and Television School (UK). Her student film While You Sleep (2002) was the first short film by a Singaporean filmmaker to be selected in the Venice Film Festival. Eva was selected for the 2009 Berlinale Talents, 2010 Taipei Golden Horse Film Academy and Torino FilmLab. The Songs We Sang (2015) is her debut feature documentary, hailed by the local media and audience as one of the best films of the year, it has set a new box office record for independent documentary. 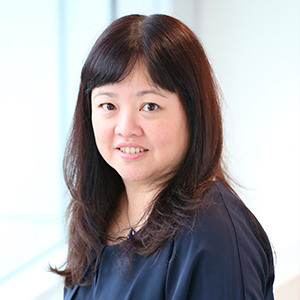 Ms Lim Sau Hoong was CEO and Executive Creative Director of 10AM Communications, an advertising agency that she founded in 2000. Since its founding, 10AM has garnered more than 300 awards including Cannes, the One Show, the British Designer & Art Directors club, Clio and Communication Arts. Prior to the founding of 10AM communications, she spent 12 years in both BBDO Asia (Singapore) and Ogilvy & Mather (Singapore, Beijing & Shanghai) as the head of the creative teams, attaining more than 500 awards for the two agencies. 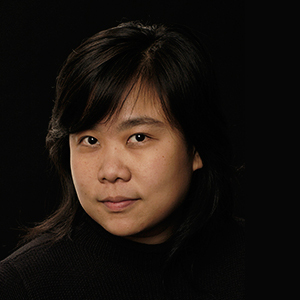 Identified for her unique creative talent, Sau Hoong was invited to join the Planning Committee for the 2008 Beijing Olympics' Opening Ceremony as visual advisor, and contributed to the success of the Beijing Olympics. 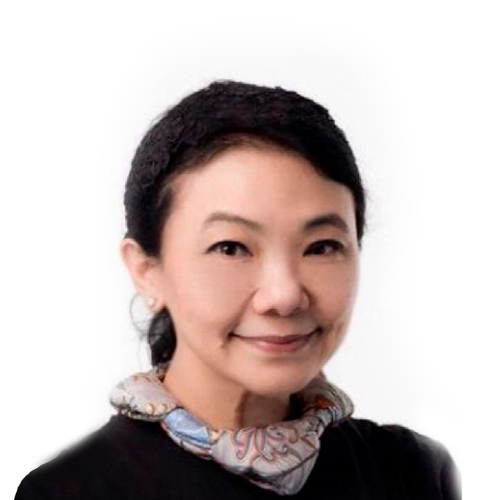 She headed the Shanghai World Expo 2010 Singapore Pavilion Advisory Panel from 2008 to 2010,and chaired the Speak Mandarin Council (Singapore) from 2008-2011. In June 2013, Ms Lim was appointed Chairperson of the Chinese Development Assistance Council (CDAC) Stakeholders Communications Committee. 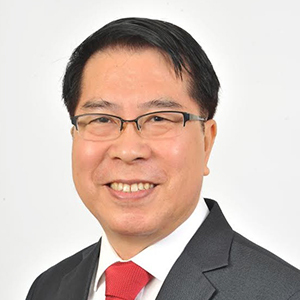 Sau Hoong is currently the Vice-Chairperson of the 6th Singapore Note and Coin Advisory Committee, and currently an Independent Director of NTUC Fair Price, Ascendas REIT. 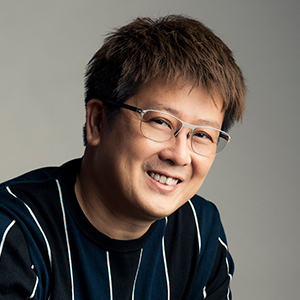 Sau Hoong has sat on the jury for many international advertising festivals including Cannes, Clio, Times Asia Pacific Advertising Awards, the New York Advertising Festival, and London International Advertising Awards. She was also a jury member on the inaugural President Design Award in Singapore. 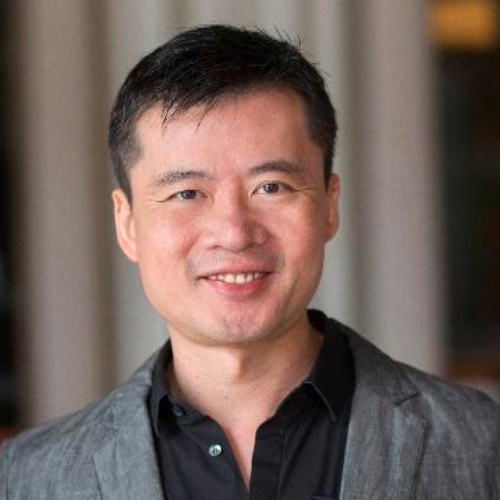 Sau Hoong was nominated as one of the top three most influential persons in media, marketing, and advertising in Singapore. 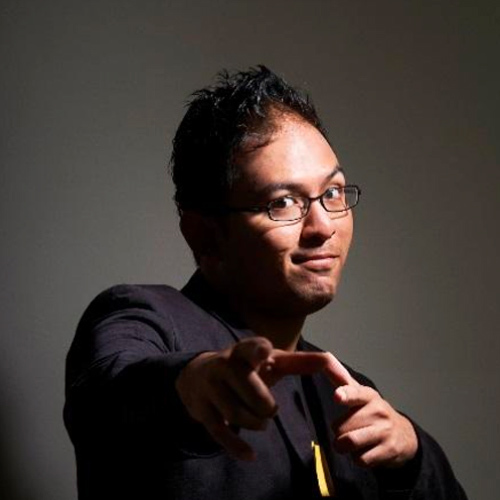 Often calling himself a “part-time scriptwriter, fulltime storyteller”, M. Raihan Halim’s career in television began after winning two Golden Pen Awards at the MDA: National Scriptwriting Competition in the years 2005 and 2007. He’s the only local writer/director whose television works transcends cultural lines and are featured in all four main channels in the country. Best known for his award-winning television dramas, his telemovies Yazid Wears Diapers garnered the Best Special Drama award in a local television award show and Big Time In Little Street was nominated in 2010 Asian Television Awards. 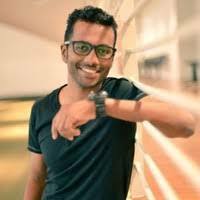 In 2011 alone, he wrote, produced and directed three critically-acclaimed hit series for Suria and okto. 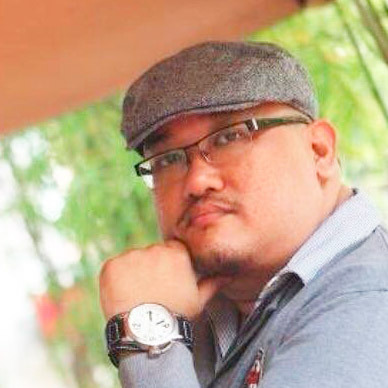 Pushing the boundaries of storytelling, his television works Munah and Hirzi (2012), and Firasat (2014) sought to engage television audiences through multiple platforms - radio, magazine, as well as online content for an immersive narrative experience. Raihan embarked on his feature film project, Banting in 2014. Banting’s commercial release in Singapore theaters was met with overwhelming response. The film was also screened at the 34th Hawaii International Film Festival. Submit your nomination now for the "Singapore Online Video Award". Nominate an online video which best represents Singapore. The producer/production company of the selected short film will be presented with $800 cash prize ! Should your nomination be an award-winner, you will have the chance to win a cash prize of $200 and both Nominators and Nominees will be invited to attend the Microfilm Competition Award Ceremony. Seats are limited, start nominating now! The nominated film must contain Singapore related themes, multiple nominations are accepted. The publication date of the film has to be from 1st Jan 2018 to 30th April 2019. The deadline for nomination is 6th May 2019. Should there be 2 or more nominators for the award-winning video, the prize will be allocated via a lucky draw to only ONE (1) of the nominator. The Organisers, in their sole discretion, may prohibit or disqualify any nomination deemed inappropriate. The Organisers also reserve the right to refuse to screen a video. The Organisers reserve the right to make the final determination as to which films are eligible for the Competition. Neither the identities of the adjudicators nor their decisions will be disclosed to the competitors and/or the public, nor are said decisions and/or the identities of the said adjudicators open to questioning, objections, appeals from you and/or the public. All decisions made are deemed final and conclusive. Winners' list shall be announced on Zaobao.com. Winners will be invited to attend award ceremony in May 2019. Boris has been in the Film & TV Industry for 20 years, in which he spent more than 6 years as a Scriptwriter in MEDIACORP STUDIOS Chinese Drama Division. During his TV station days, he conceptualized and written more than hundred scripts for various local sitcoms, dramas, and short films. Some of his notable works then were Don’t Worry, Be Happy (《敢敢做个开心人》), The Right Frequency (《播音人》) and My Genie (《我爱精灵》). During his tenure with J TEAM PRODUCTIONS from 2003 to 2011 as Creative Director, he has been involved in most of the company’s movie screenplays and has played a pivotal role in all the J TEAM’s TV productions. His educational infotainment, Creatively Mine (《我是创新王》) won Star Awards (《红星大奖》) Best Variety Show in its debut year. In 2007, his work Just Follow Law (《我在政府部门的日子》) was nominated for Best Original Screenplay in the 44th Golden Horse Awards. In the following year, his script The Ghost Blog (《“怖”落格》) came in third in FPP organised by the Taiwan Golden Horse Film Festival. 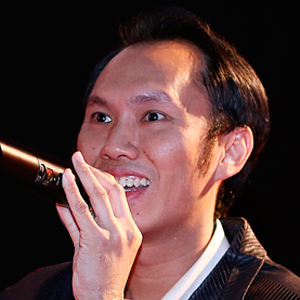 Since making his directorial debut in 2009 as Jack Neo’s co-director in Where Got Ghost? (《吓到笑》), Boris has since continued to direct 7 more feature films that did well in box-office in both Singapore and Malaysia. 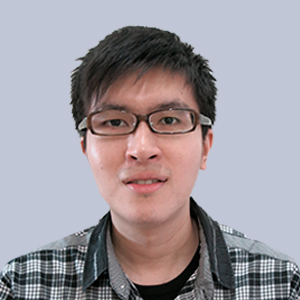 Boris is always keen to share his experiences and tried his hands on teaching since 2010 at various schools such as SMU and Ngee Ann Polytechnics. 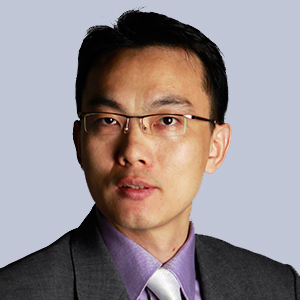 He is currently an Associate Lecturer in Ngee Ann Polytechnics. Saleem Hadi is an award-winning filmmaker, writer and theatre practitioner, contributing heavily to Singapore’s arts and media industry since 2001. Saleem Hadi is the first Singaporean to have won the REEL STUDIO’s CANNES 2008 DISTINGUISHED COMMUNITY DOCUMENTARY AWARD for his documentary. Saleem Hadi runs his own company, a media-enrichment company specializing in media and arts programmes. He has directed 16 short films till date. In 2017, Saleem won the 1st Prize for his English short story in National Arts Council’s prestigious Golden Point Award Literary Competition. Saleem Hadi is currently championing a nation-wide Indian short film archival project, THEINDBOX, under a social enterprise named Singapore Indian Theatre & Film Explorers (S.I.T.F.E.) which was also commissioned by government organizations to stage multilingual stage productions. How to start making your first microfilm? Study other microfilms to get a sense of the story structure and production scale. Avoid being overly melodramatic and avoid stereotype characters. Keep the plot within reason but beyond expectations. Keep the film visual and don’t rely too much on talking heads. Director: the “artistic director” of the film; proviides guidance to actors. Director of Photography: In charge of the camera and lights. Sound Recordist: Records sound on set. Editor: manages the postproduction of the film. Always check your focus and set your white balance. Do not overuse zooms and camera movement. Know why you are using a specific effect before using it. Compose each shot as a painter would compose a painting. Casting is important. Choose actors of the appropriate age for each character. Choose appropriate props, costumes, hairstyle, set dressing, etc. Good, clean sound is important. Consider “cutting on action” to make sequences flow more smoothly. Avoid fancy transitional effects. Again, know why you are using a specific effect before using it. Observe the 180 degree rule, screen direction and other continuity rules. Reaction shots during dialogue scenes make the scene more interesting and dynamic. Select appropriate music to suit the mood, pace, cultural flavor of the scene. Consider adding appropriate sound effects to enrich the sound design. Add English subtitles if your film was in Mandarin and Chinese subtitles if your film was in English. Ensure you have the right export settings before exporting. Watch through your film after exporting to ensure that there are no glitches. Ong Chao Hong: I believe there are no definite rules in filmmaking and certainly no right or wrong way. You don’t have to follow everything I say, or agree with everything I say. What's more important is that you believe in your own choices. Nobody ever said that an overexposed shot is "wrong", but you have to be prepared to explain why you chose to use an overexposed shot. You are the artist. You have the choice of expression. Make the choices wisely! Copyright © 2018. Singapore Press Holdings Ltd .